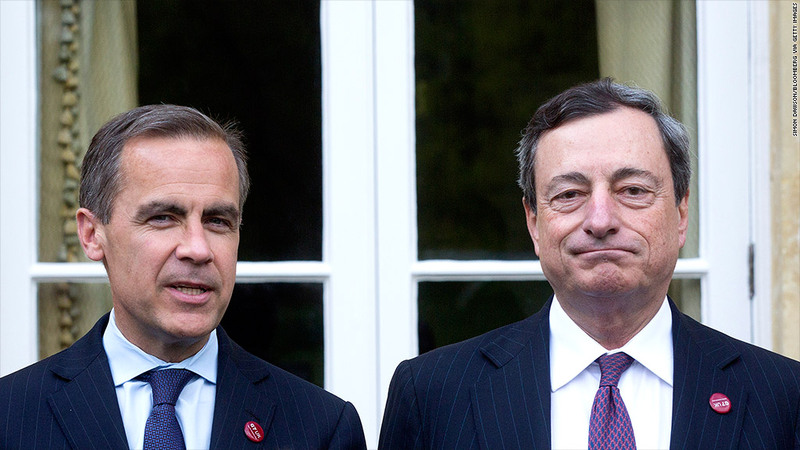 Bank of England governor Mark Carney and ECB president Mario Draghi are facing very different challenges thanks to Europe's uneven economic recovery. The uneven economic recovery in Europe is leaving central bankers with very different challenges. The European Central Bank is facing calls for more action to stimulate activity, while the Bank of England tries to figure out how to react to a recovery that is racing forward. 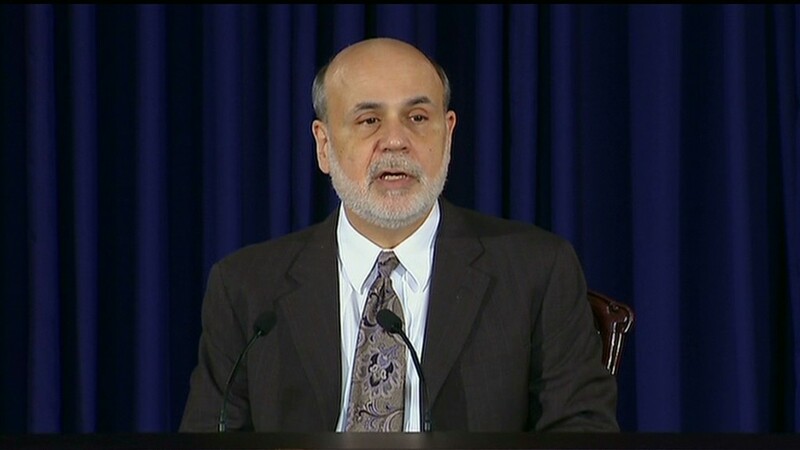 Both central banks kept interest rates unchanged Thursday. Neither was expected to make a move but the ECB made clear it may have more work to do. It cut rates to a record low of 0.25% in November, alarmed by a sharp fall in inflation and the risk that the eurozone recovery could be derailed before it started. The bank then sat on its hands in December, but ECB president Mario Draghi used stronger language Thursday, warning it was premature to declare victory in the eurozone crisis. "We will act if we have reason to think that our medium-term expectation for inflation is changing for the worse," he said at a news conference. The eurozone economy is at risk of stagnation after emerging from its longest recession last year. Related: Yawning jobs gap between Europe and U.S.
A disappointing survey of service sector activity in December has many economists predicting only the slightest improvement in the rate of growth for the fourth quarter of 2013. And with an annual inflation rate at just 0.8% in December, the ECB remains on alert to the risk of deflation. The scale of the challenge facing eurozone policymakers was underlined Wednesday by new data showing regional unemployment remains stuck at a record high above 12%. The Bank of England faces the opposite problem. Accelerating growth is cutting U.K. unemployment much faster than the bank expected a few months back, and the 7% threshold may be breached in just a few months. "Under these circumstances the [bank] is undoubtedly considering what to do in order to clarify its guidance," noted BNP Paribas economist David Tinsley. Either way, many economists now expect U.K. rates could begin to rise a year from now.